Sometimes we create art for the product and sometimes we create art for the process. This was definitely a process based project that turned out very pretty in the end. To create our artwork we used some basic materials we had around the house, including some plastic snowflake decorations we've used in our windows before. 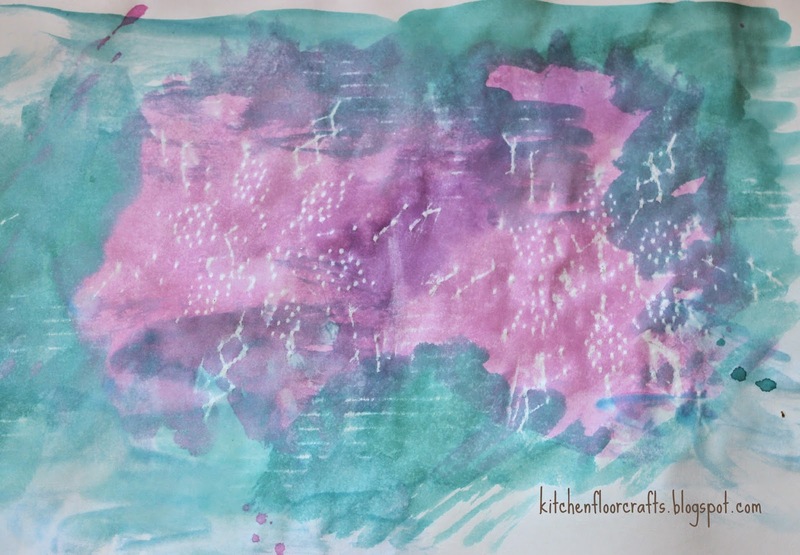 Quite a while ago I thought about trying to use them as rubbings. We finally had an afternoon to play with them a few weeks ago. 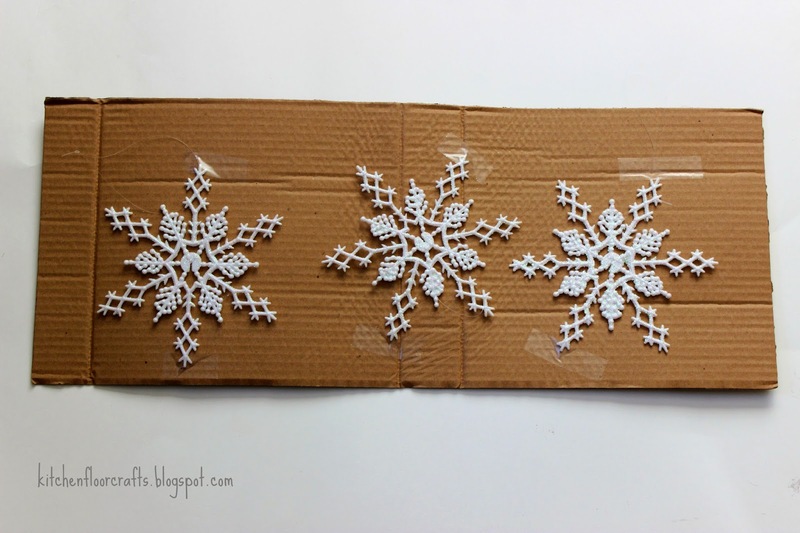 First I taped the snowflakes to a piece of cardboard. 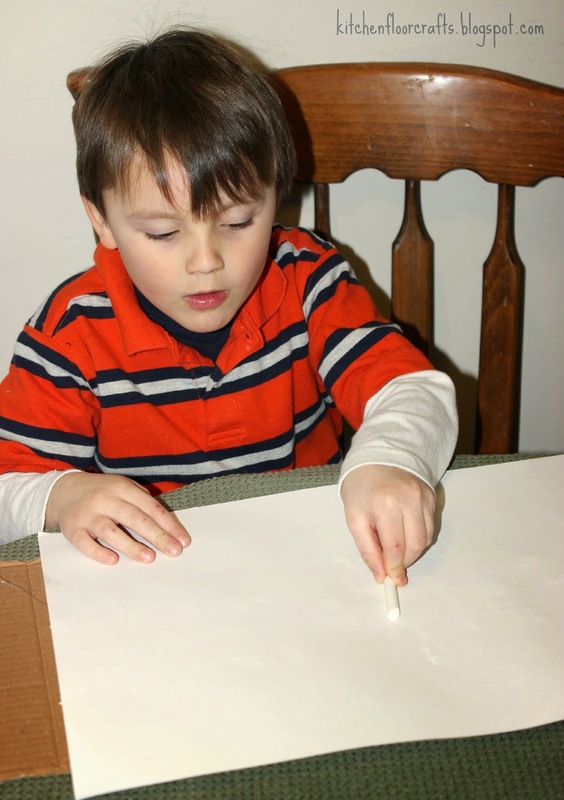 We placed the white paper on top of the cardboard and used the white crayon to rub across the top of the paper. We rubbed as hard as we could so that the design of the snowflakes would come through the paper. 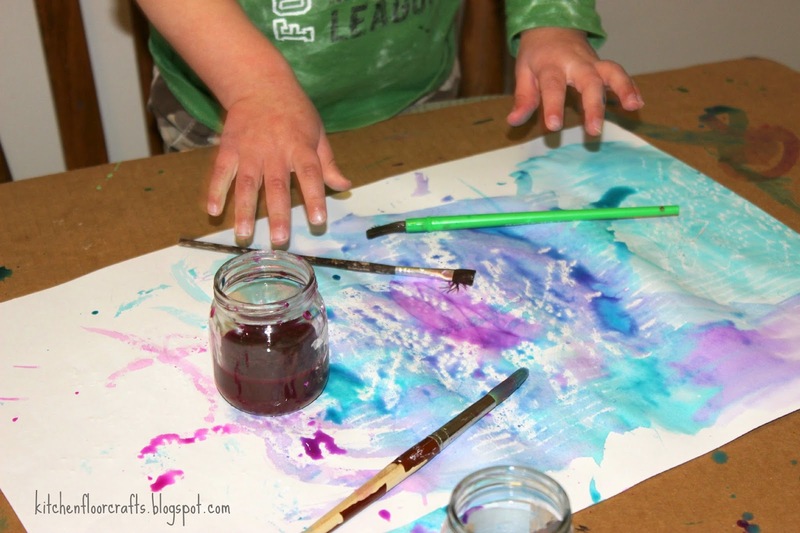 Afterwards the boys used the liquid watercolor to paint across the top of the paper. 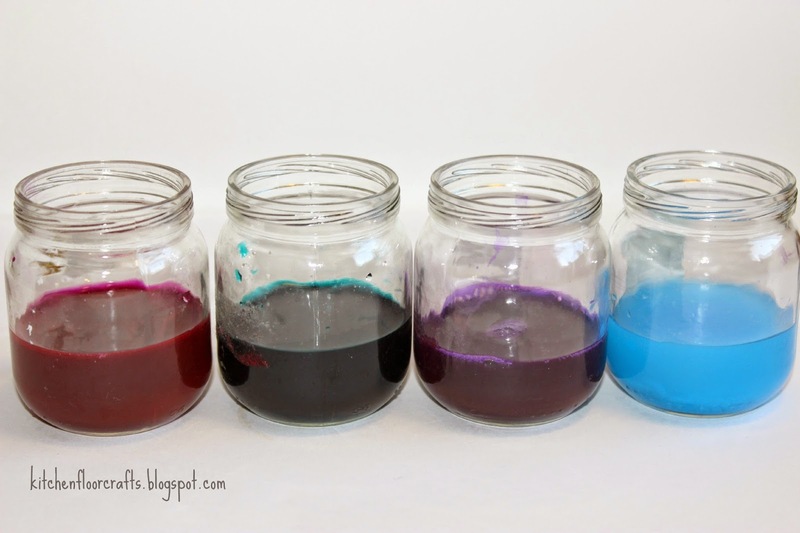 Just like with our Magic Words Thank You Cards, the paint won't stick to the crayon spaces. 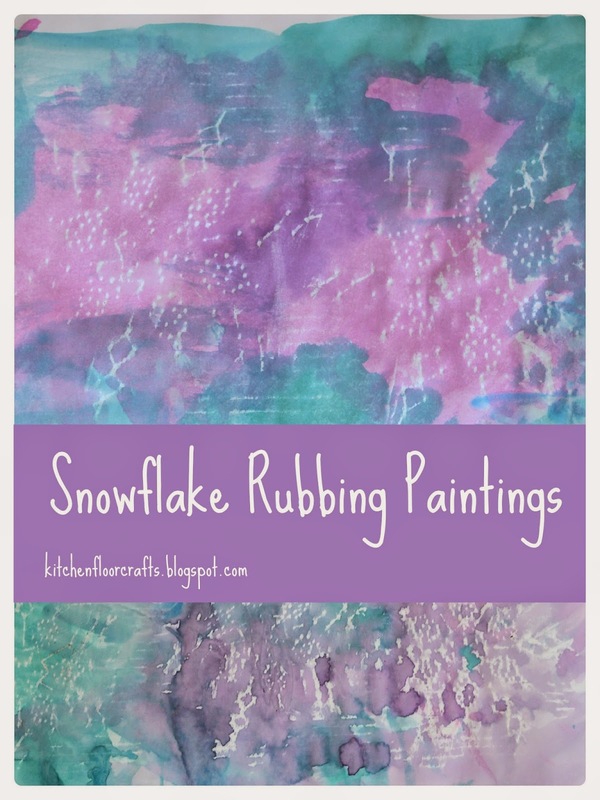 As the boys painted the snowflake designs showed through the paint. 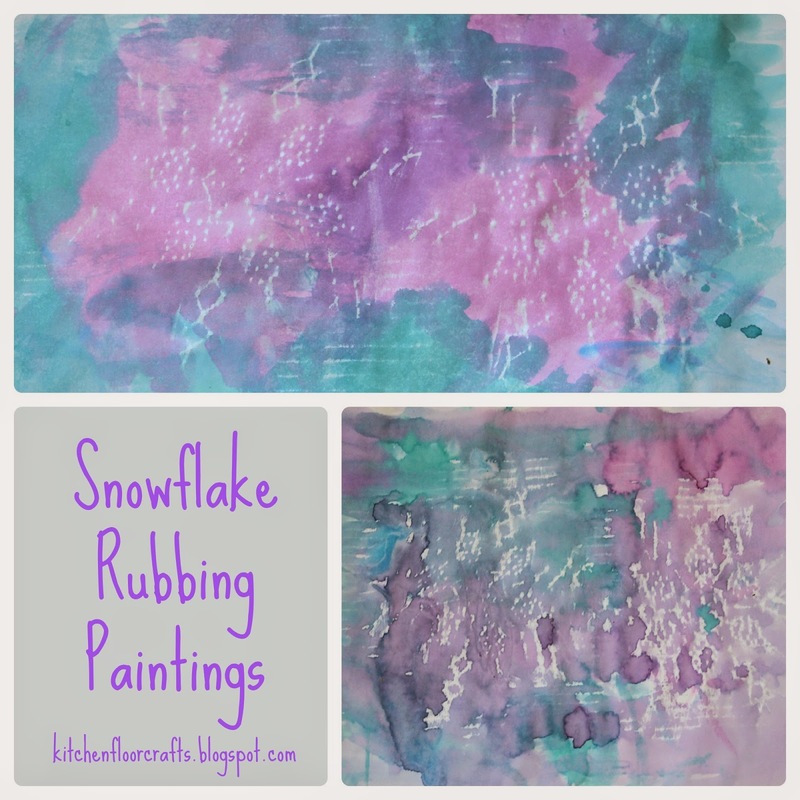 Later when the paint dried we had color paintings with white snowflake designs. Although sometimes we take our process art and turn it into something else (like our Monster Truck Painting) in this case we just left it as a fun, artistic experiment.